Make creativity, family togetherness, and shopping local a part of your holiday season. Your choice of making hand-printed holiday cards, an illuminated manuscript, or hand-stamped gift wrap. Free for ages 13-21, just $15/hour for adults. Space is limited – please register online. 2. Give a gift membership to ASCC. Inspire a loved one through a gift membership. Order online. 3. 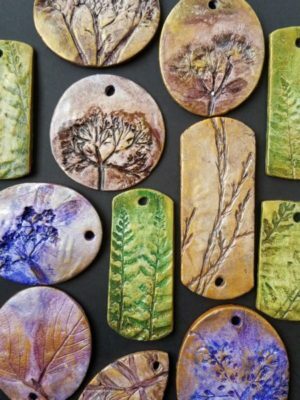 Give a unique gift celebrating the art & artists of Columbia County: ASCC’s notecards & handmade botanical ornaments. We ship to all 50 states, free gift wrap. 4. Shop local + give art + support local artists = support ASCC. Visit our gallery hours Thursdays 9-5 and Saturdays 12-4 to view our Members’ Show. Nearly 60 works of art on exhibit starting at $50 – perfect for holiday gifts. See you soon at the school!